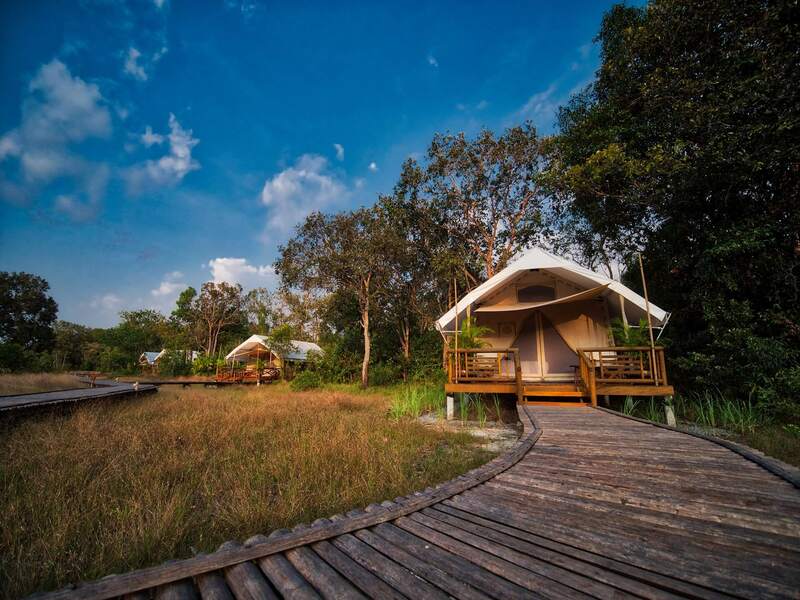 The eco-camp is equipped with nine comfortable safari-style tents located inside Botum Sakor National Park that minimize the human footprint on nature and promote sustainable tourism. 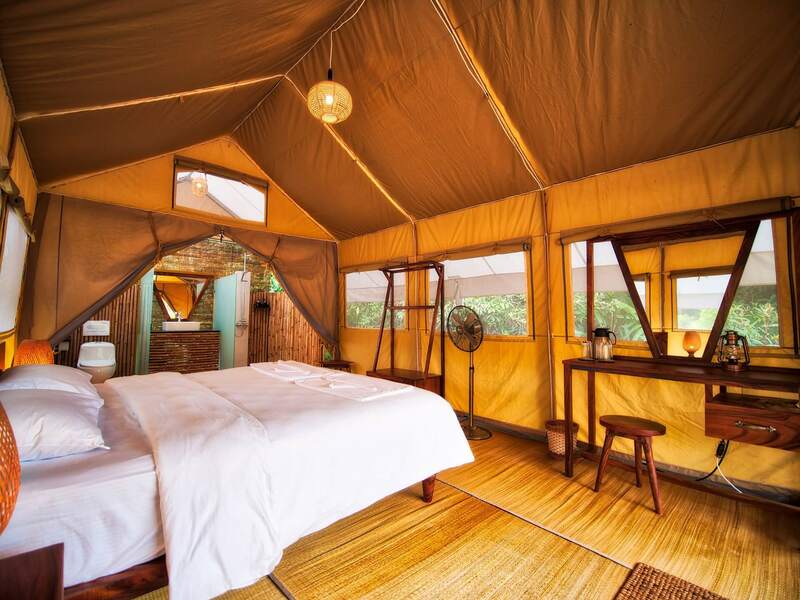 Each of the nine tents provides visitors with a fully-enclosed and mosquito-protected 32.6m² canvas tent. 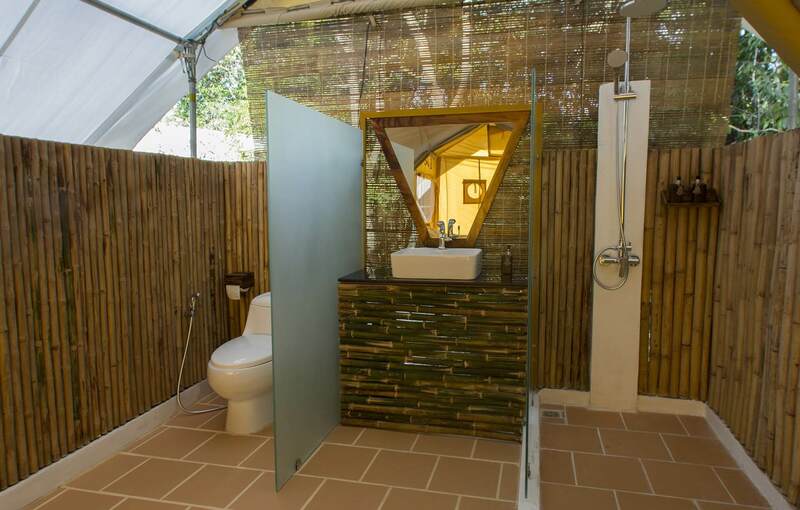 In-tent amenities are the standard of a 3-star hotel, including twin or Queen double beds, sufficient fans, bamboo and rattan furniture, bathroom facilities with hot water, rain showers and spacious patios with sun chairs.